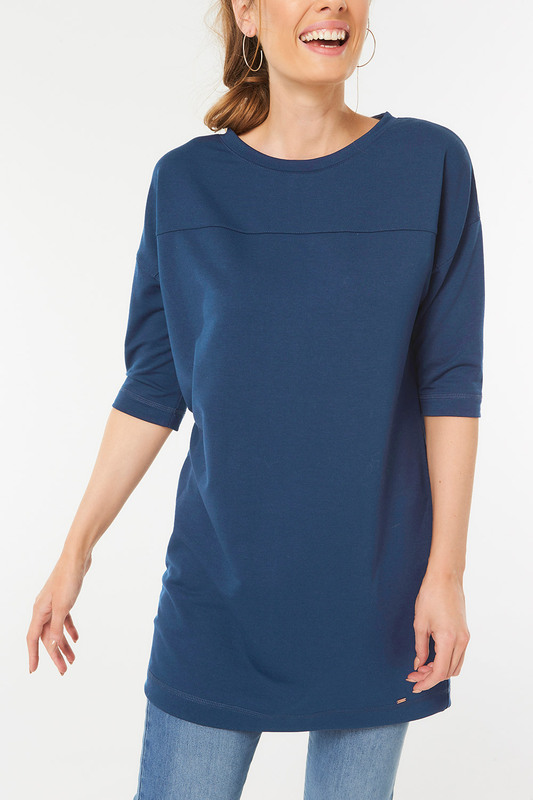 Look fantastic in comfort with this relaxed 3/4 sleeve tunic, available exclusively online. 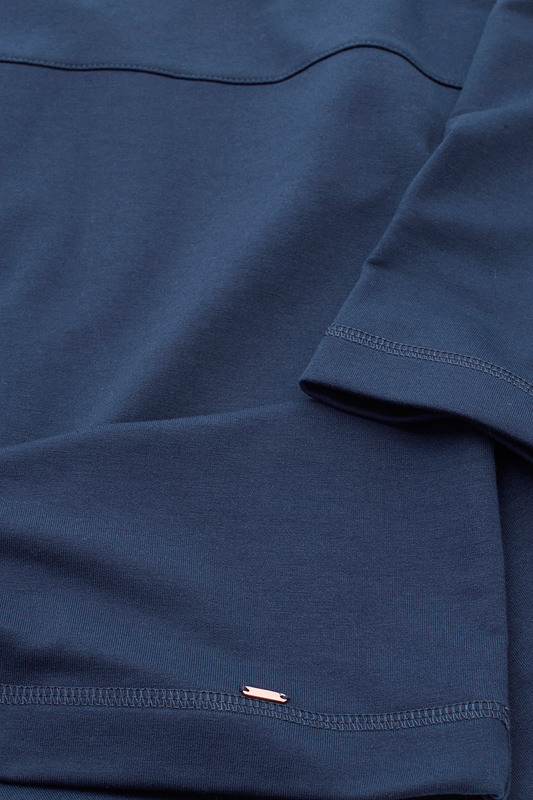 The soft material is both flexible and cosy, ideal for when you are spending time at home. 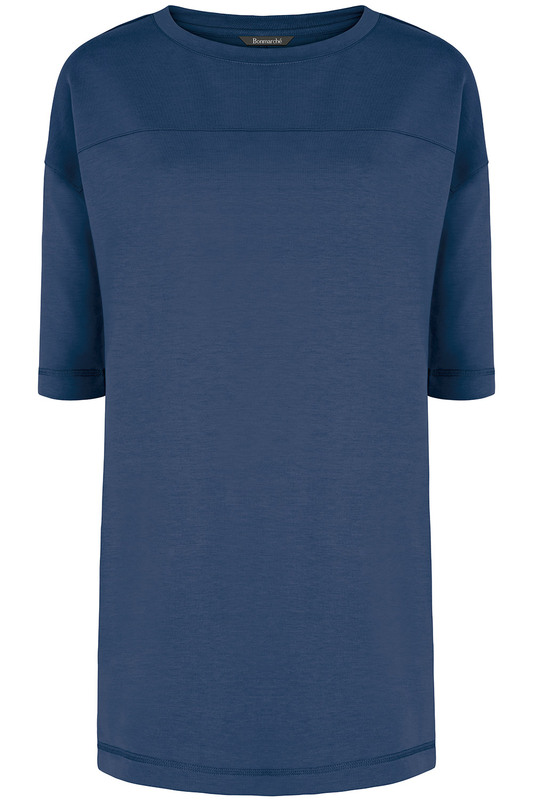 A round neckline and raised seams give a subtle sporty effect. 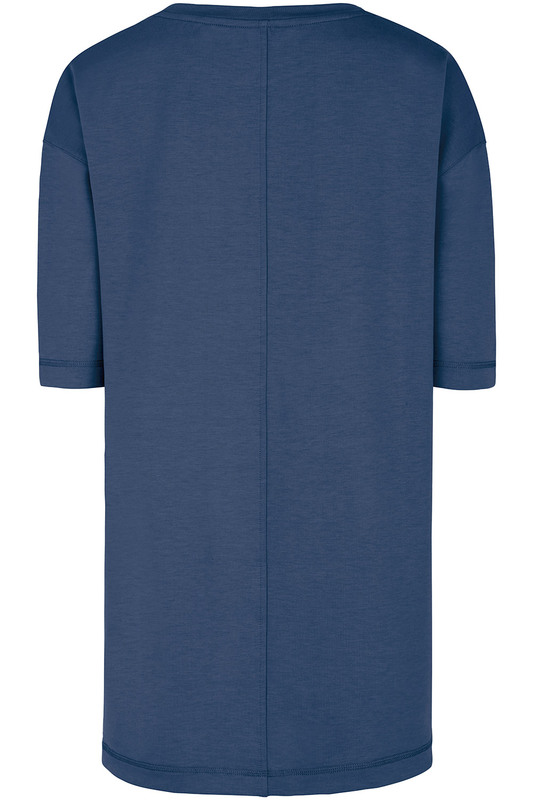 The longline design makes this tunic perfect for pairing with jeans or leggings, depending on your mood.